This fresh release from Troglobytes Games combines traditional twin-stick shooting mechanics with a bit of brawling. On top of that, it's also got a light layer of roguelite strategy to sink your teeth into. What's not to love? The game just came out on Steam's Early Access program, and to commemorate this momentous event, the devs put together a nice, colorful release trailer. If you're having trouble with HyperParasite's more contentious levels (or just love playing cooperative titles like some weirdo), the game features local two player co-op. 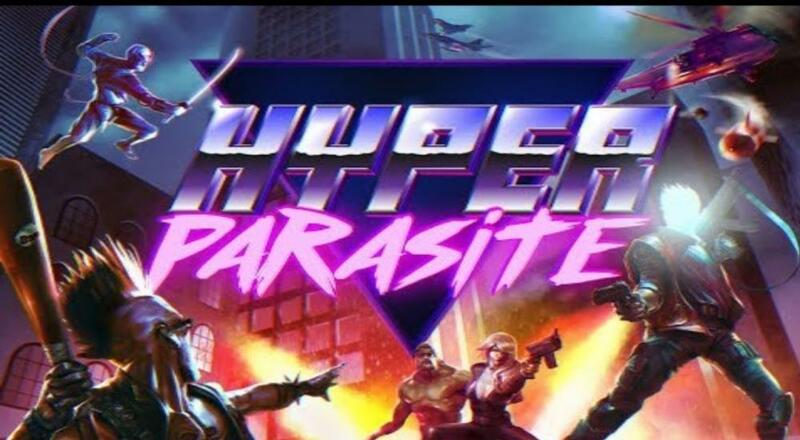 HyperParasite is currently available on PC for the very reasonable price of $8.99. For anyone who thinks they may be interested in the game and has some extra dough, the developers note that the price will increase over the course of Early Access until it reaches its final price upon full release, which is planned for Q3 or Q4 of this year. So, you may want to go ahead and pick a copy or two up to save some money. Additional content (classes, levels, skills, etc) seems to be the primary focus of the game's remaining development time, so you should be able to take solace in knowing that it's fully playable in its current state.